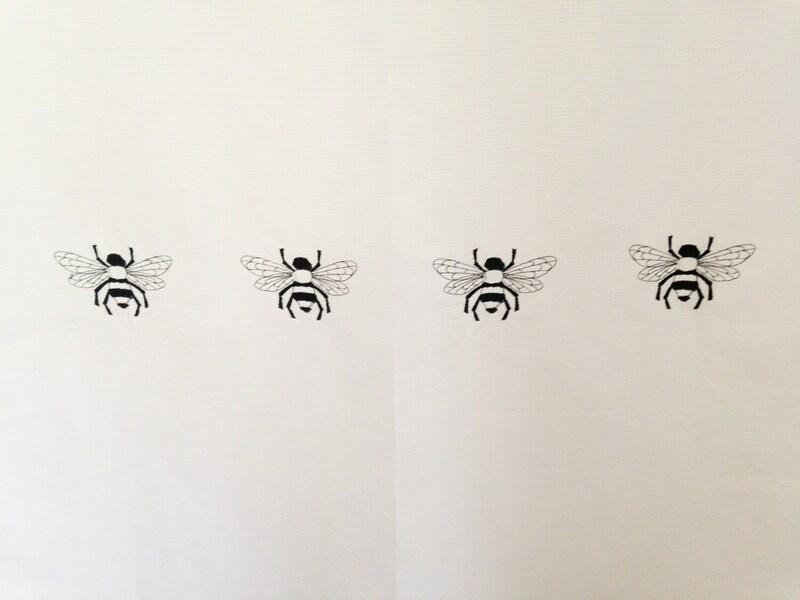 We think this shower curtain is the bees knees. 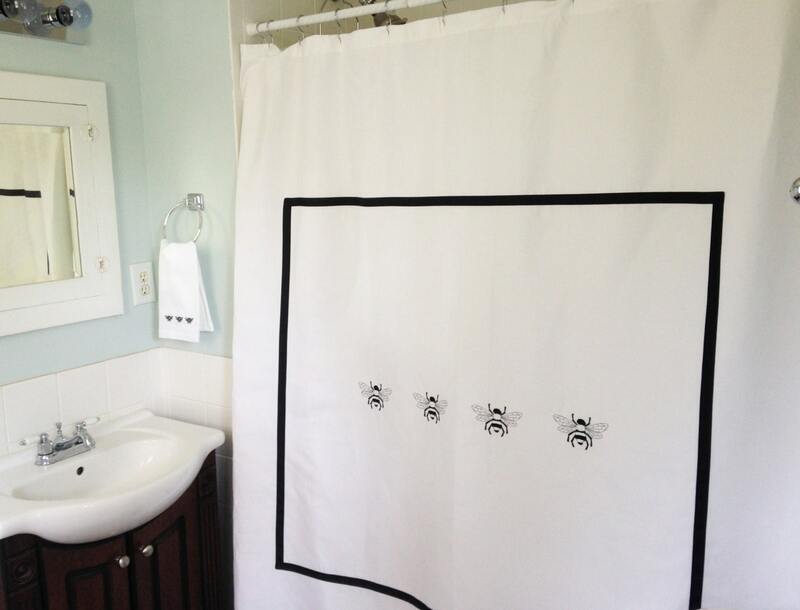 With four embroidered bees and a matching grosgrain ribbon, what better way to dress up your bathroom. The shower curtain is 100% cotton made of small waffle weave. Pick from one of the many colors or if you have a specific color in mind, let us know and we can try to match it. And yes, the hand towels are a necessity if you purchase the curtain. They look beautiful together! I really like the design and trim color (light brown). However I was disappointed in how light weight the actual curtain material is and how the surrounding box ribbon was sewn on the curtain. Overall, I like the product but with some disappointment.